Entrepreneurs must address a host of issues. One of them is the decision whether or not to locate their business in rented premises or to make a much larger investment and buy their own property. Let’s break down the various advantages and disadvantages of both. Let’s take a look at this in good order. Firstly, the advantage of renting is that there is no need for any high initial investment. 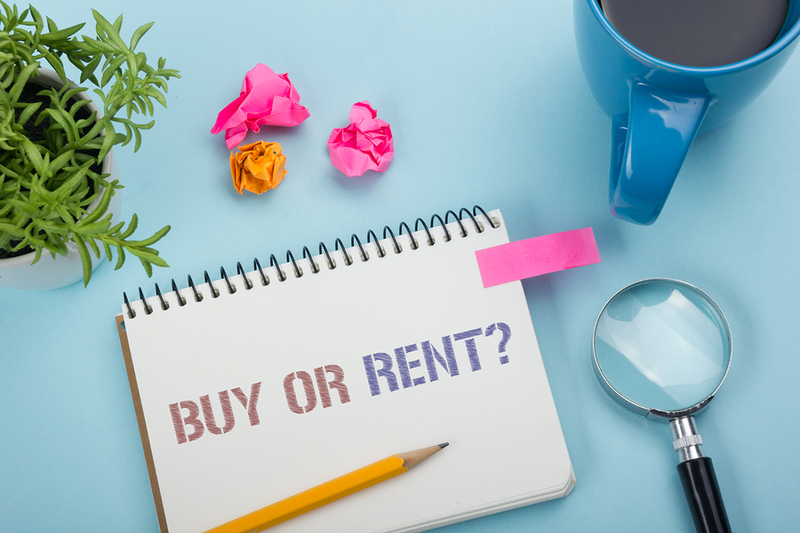 In addition, many landlords, in the beginning, might offer what’s known as a temporary rent free period, during which for an agreed upon period you pay the lessor only a minimum, or in some cases no, rent. You also gain extra flexibility for your company because you’re not limited by space size. You can either expand or cut back according to your needs. In the event that your space is simply not sufficient due to limited size, or you’re no longer satisfied with it, or simply just want to change the direction of your company, you can always move to new premises. Also with rental space you will not have to be burdened with the operation and maintenance of the building, as the landlord is responsible for such things. The flip side is the fact that when moving into new premises you have to take into consideration the length and conditions of the lease. Of course, it’s easier to leave a rented space, but still there is a notice period, which must be respected when announcing to the lessor your intention to vacate the premises. And perhaps most importantly, even if you pay rent for over ten years, you still will never own this specific property. The main advantage to buying is the fact that the given space is now the permanent property of your company. You can alone decide what to do with it and if the need arises you can sell it or even rent it. In this case, at the end of the lease agreement you are left with no financial burdens or expenses. The main disadvantage of the choice to buy is a higher initial investment. A mortgage, which may be paid off over several decades, increases your fixed costs. And, of course, you need to take care of the property, which also means certain additional fixed costs and personnel as well. If you decide to sell your property, it could take several months, and in some cases this might be a problem leading to less flexibility for you company. And if you need to expand, you might discover that the space is too small or it is situated in an inappropriate location.